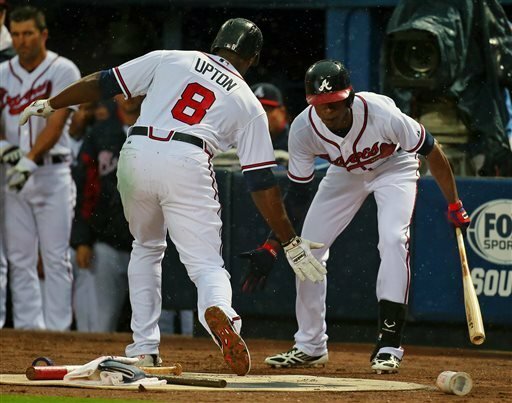 "Upton? That's mah dawg!" said the Braves fan, looking up from his iPhone in his overstuffed sofa chair, after earlier in the day deciding he wasn't "up for the rain" and selling his corporate-purchased third-row-behind-homeplate-ticket to a coworker.